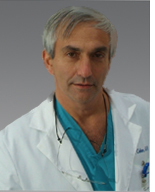 Dr. Cohen is a Clinical Associate Professor of General Surgery and serves as Director of the Trauma and Surgical Critical Care Division of Thomas Jefferson University Hospital. He received his medical degree from Temple University School of Medcine in 1981 and is Board Certified in Surgery and Surgical Critical Care. Dr. Cohen serves as the Co-Associate Director for Trauma and provides emergency treatment and medical/surgical stabilization for all persons with acute spinal cord injury. He is currently a member of the Eastern Association for the Surgery of Trauma, the Society of Critical Care Medicine and is a Fellow of the American College of Surgeons.